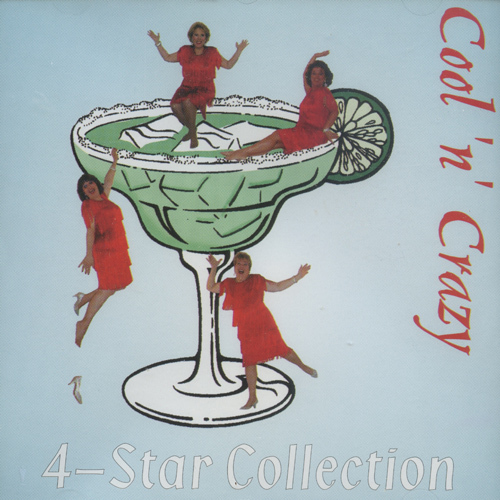 Four women on a journey, tirelessly braving the road to excellence, bring you "Cool 'n' Crazy". Rich with attitude and sass is this 4-Star release of jazz and bop-pop barbershop! Finger-snapping tunes like "Crazy 'Bout You Baby" and "Bop 'til You Drop" energize your ears from the minute you push play. The perfectly blended voices and polished dynamic expression can only prove the power and musicianship of 4-Star Collection. From "The Wee Small Hours of the Morning" to the "Cool, Cool, Cool of the Evening", when the CD is over one only wonders "Where Does the Time Go"? Push play again!